Most buildings today are over-lit because light levels are set higher than appropriate for the space, or spaces are lit even when they are unoccupied. This wastes energy, creates discomfort, and reduces productivity. 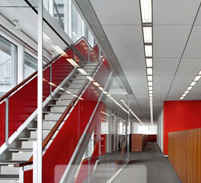 Make your building work harder for you by adding intelligent, energy-efficient light control. Lutron provides flexible, scalable systems that can fully integrate lighting, shading, and sensors for maximum energy savings. 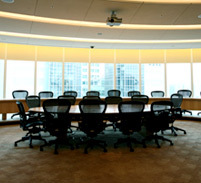 These solutions can be easily designed, installed and reconfigured to meet the changing needs of your building. 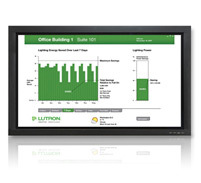 Lutron whole building solutions like Quantum allow facility managers to conveniently manage both electric light and daylight right from their desktop. Control, configure, monitor, and report on the lighting for any space in your building for maximum energy efficiency, comfort, and productivity. Many Lutron solutions incorporate an integral timeclock feature that enables the scheduling of lights and blinds. Both time-of-day (e.g., 8:00 pm weeknights) and astronomic time clocks (e.g., dusk or dawn) can enhance energy savings and the safety and security of employees. 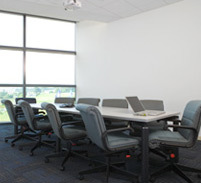 Whether it’s creating a safe pathway of light for employees exiting a building or automatically lowering blinds during peak daylight periods, Lutron scheduling solutions are a smart decision for any building owner. Improve maintenance and simplify operations by monitoring energy consumption and identifying problems before they become an issue. The reporting and trending feature allows users to monitor system activity, lighting energy usage, fluorescent lamp failures, and more to maximise potential savings. Demand response is the ability to use load shedding to instantly reduce your energy consumption when desired, usually triggered by a signal or phone call from your utility company. Lutron solutions like Quantum allow you to shed a percentage of the system’s lighting output during peak demand, instantly saving energy and leading to reduced electricity rates and rebates from your utility company. Whether you want to harvest the energy-saving benefits of daylight sensing or reduce heat gain and glare with automated blinds, Lutron provides many flexible solutions to maximise the efficient control of daylight. Lighting generates heat, and cooling systems must compensate for this heat gain. By dimming the lights you can reduce the load on the cooling systems and realise both lighting and HVAC energy savings. 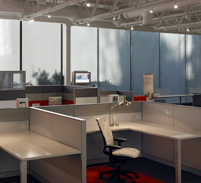 Lutron’s Hyperion Solar Adaptive Shading solution can automatically adjust window blinds based on the sun’s position throughout the day, leading to 10-30% reduction in solar heat gain.